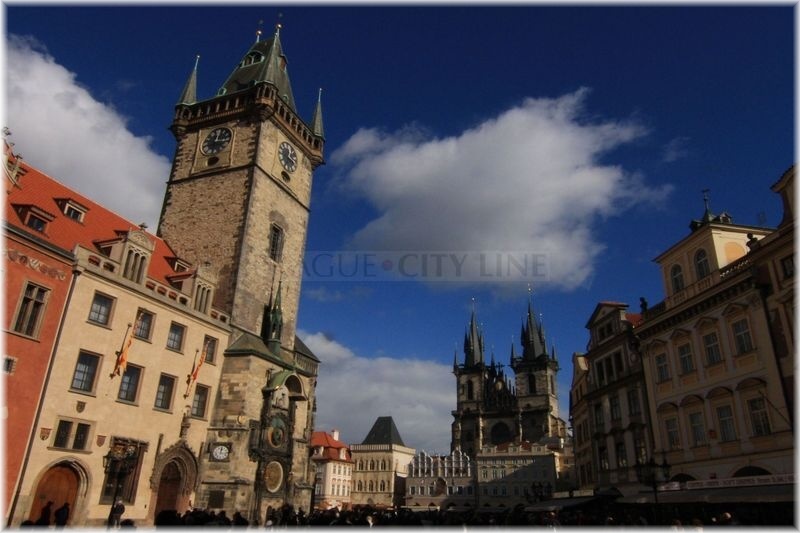 Prague is the Mother of Cities and the Old Town Square is the Prague´s heart. When the tourists see this pictoresque place for the first time they think it is a scene. 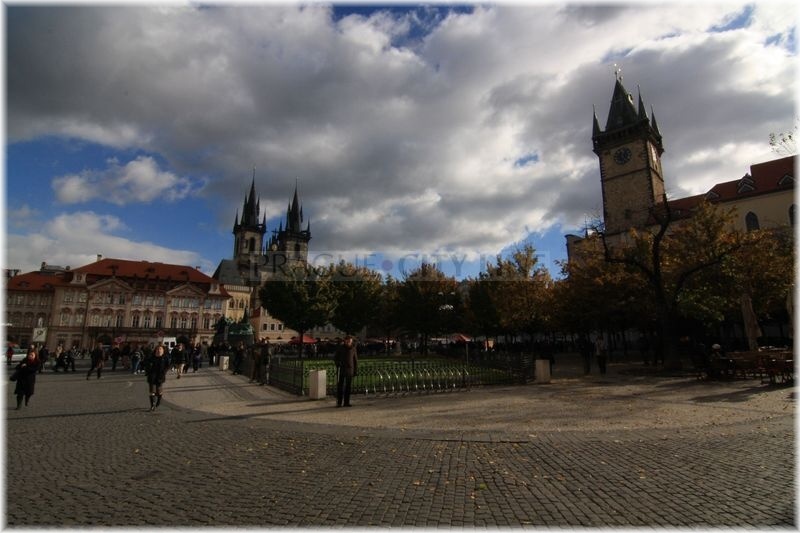 Staromák as the square is familiarly called is really a remarkable place where the history of the whole country had been written. There used to be an extensive market place in the places we are wandering about today. 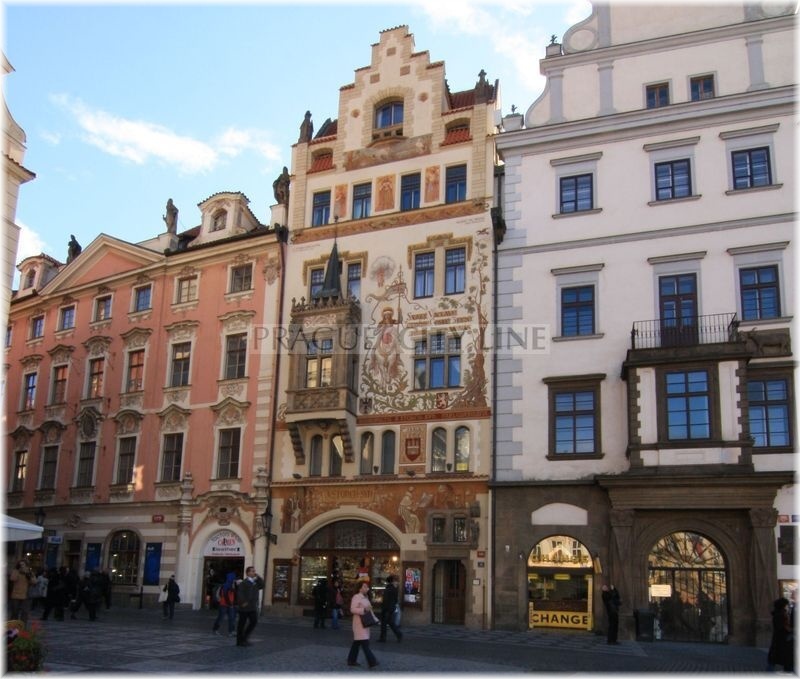 From of old the Old Town Square had been a very significant mercantile centre. Based on the historical records the market place used to have its own administrator since 1211, who was watching over here and also collected fees from the marketeers. There was an important historical turning point in 1338. The then king Jan Lucemburský (John of Luxembourgh) who reigned over our country granted a permit to the Old Town to build its own town hall. 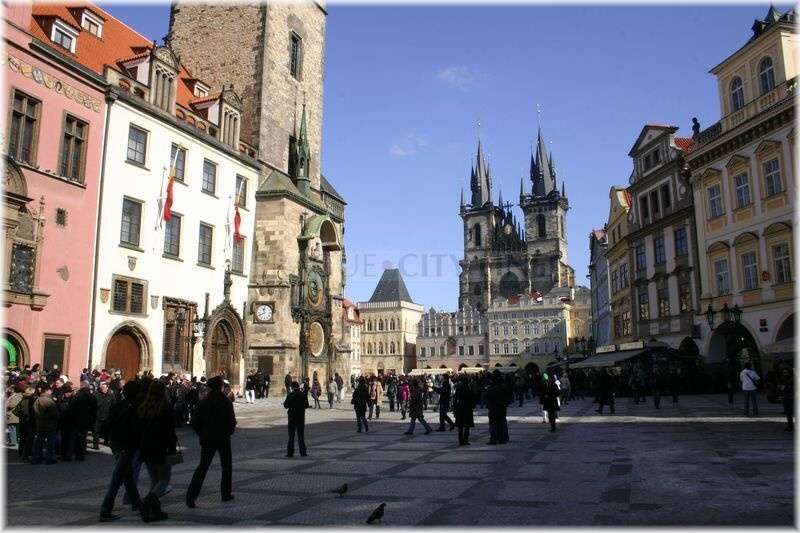 The Prague citizens selected the Old Town Square to be the most suitable place. 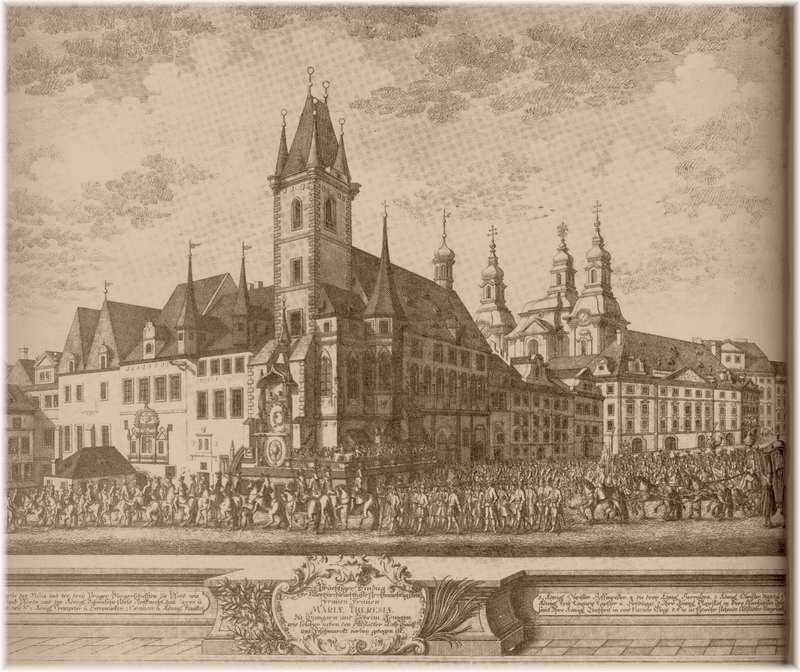 The square was originally called Velké náměstí (Big Square), however later in the 13th century it was renamed Staré tržiště (Old Market Place) because there was the greatest market place of the country. 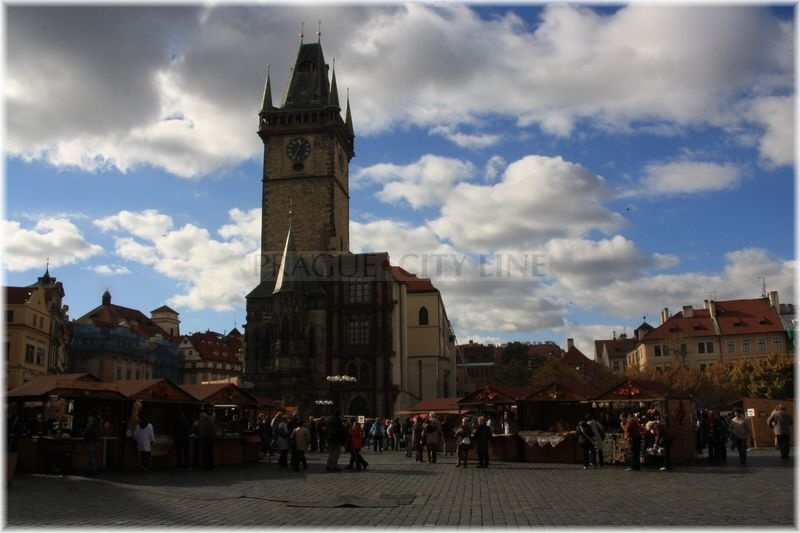 In the 14th century the square was referred to as Staroměstský rynek (Old Town Square), or simply Rynk. 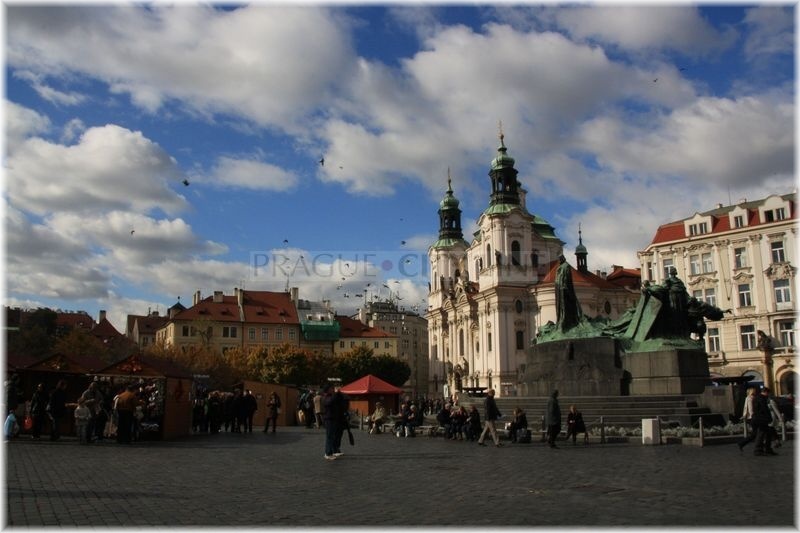 Other changes took place in the 18th century when the names Staroměstský plac (Old Town Place), later Velké Staroměstské náměstí (Big Old Town Square) and finally only Velké náměstí (Big Square) were used abundantly. 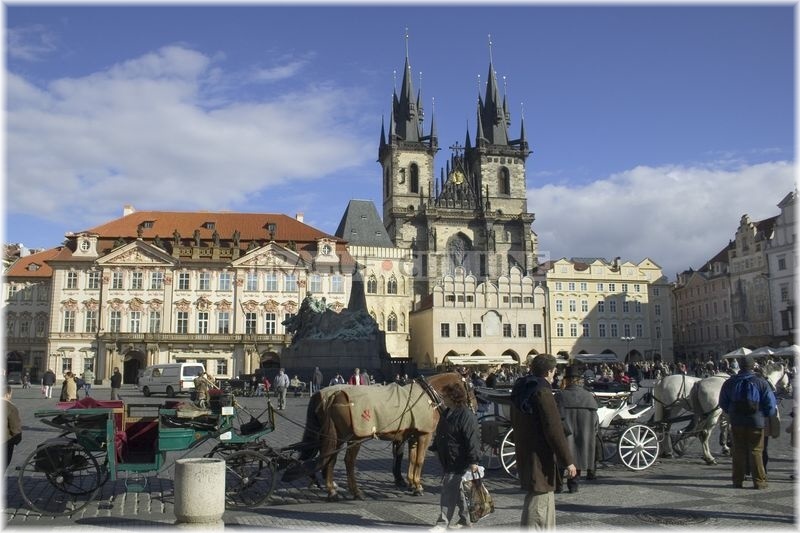 The current name was used since 1895 and was derived from Staré Město (Old Town), i.e. the district where the square is situated. the leaders of the Rebellion of the Czech Estates against the Habsbourgs. 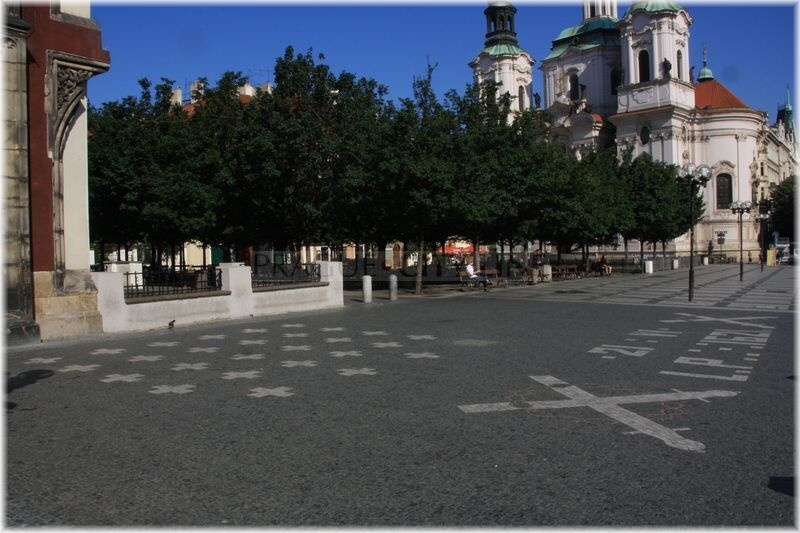 At present you can notice the twenty-seven white crosses in the paving in front of the town hall which commemorate this event. 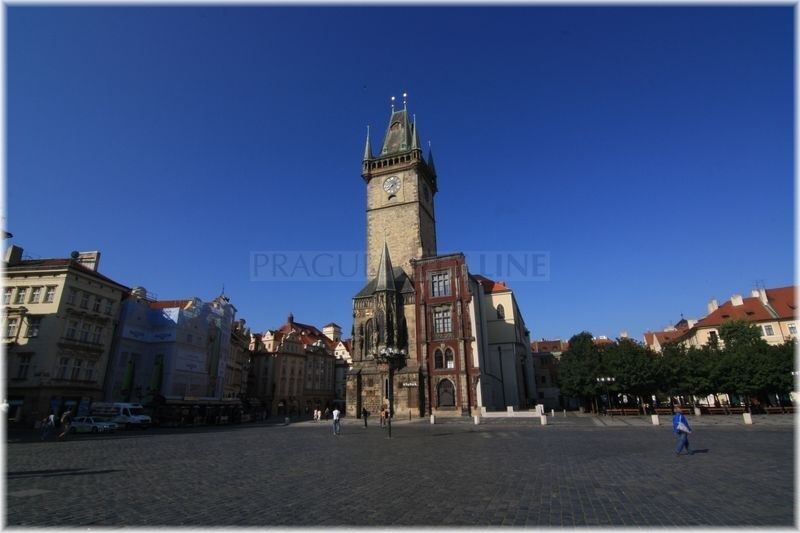 There was a manifestation in the Old Town Square in 1902 striving to establish the universal suffrage. Also the year of 1915 was significant. 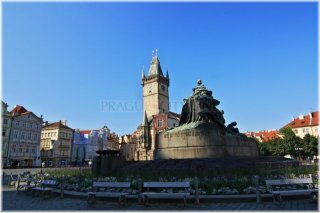 It had been exactly five hundred years since Master Jan Hus was burned at the stake. 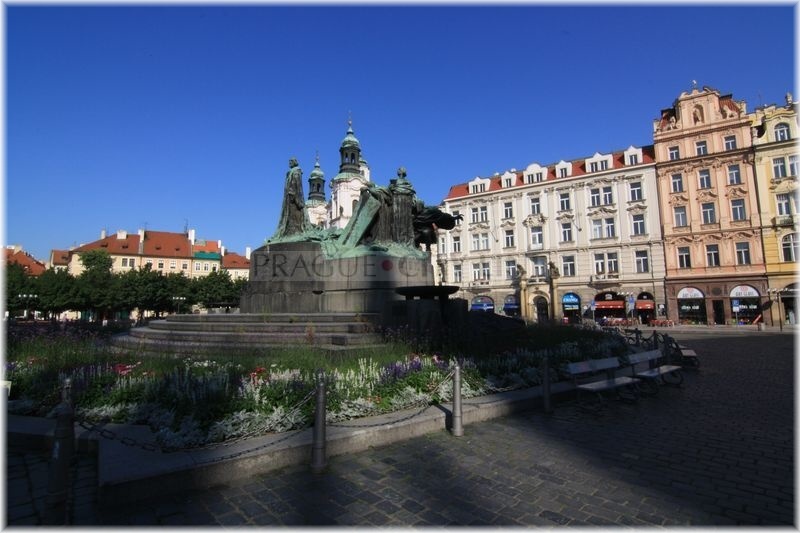 In commemoration of the significant Hussite reformer his Memorial had been revealed in the heart of the square. Another demonstration was held on October 14th, 1918 – a demonstation in support of the declaration of the independence from the then Austria-Hungary. During WW2 in the occupation period by the Nazi Germany extensive combats took place here which resulted in the devastation of a great number of houses. 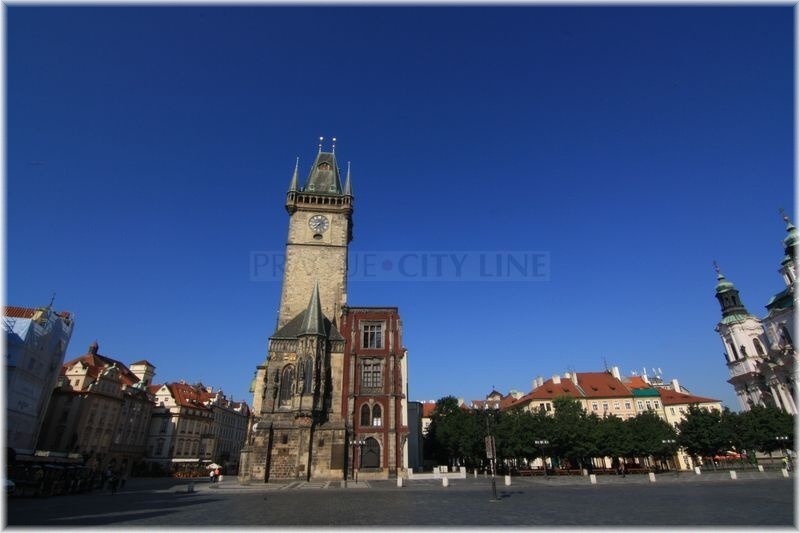 The Old Town Hall was badly damaged – one part of had been pulled down and the Astronomical Clock burnt down. In 1948 the first communist president Klement Gottwald declared by his speech the republic government´s takeover by the communist party there. The square mainly serves as a tourist target these days. The main attention is foccussed especially on the Old Town Hall. Seasonal markets are another big attraction. 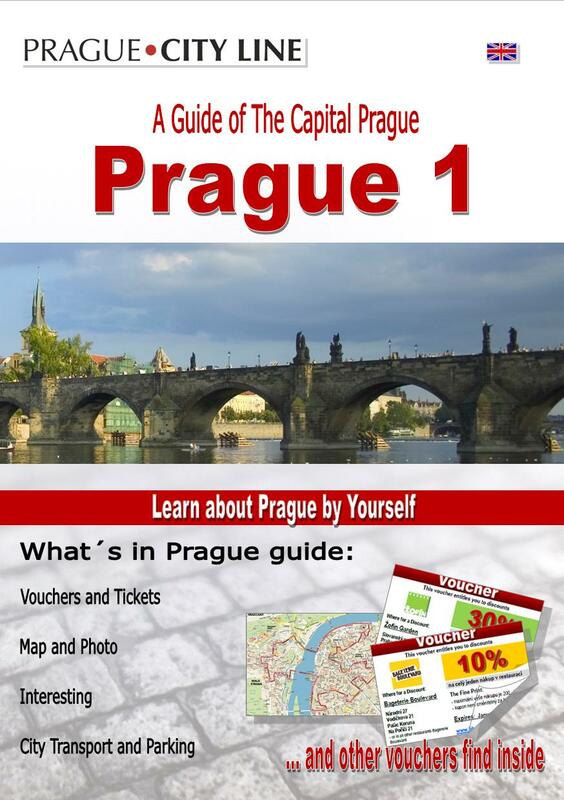 For the Prague people Staromák becomes important mainly in the time of sports events. 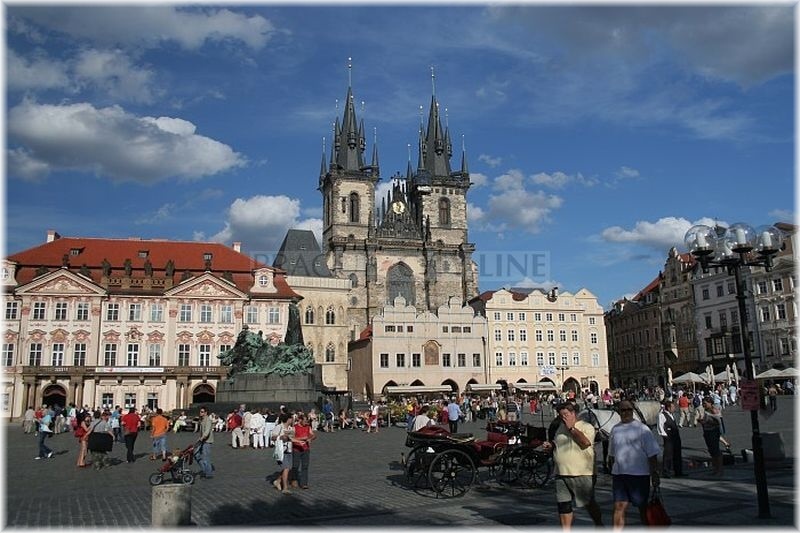 A screen is installed in the square and the citizens can watch the achievements of the Czech sportsmen.